This is child's transferware mug, circa 1840. This diminutive piece stands 2 1/2 " tall x 2 5/8 " wide with an applied loop handle. The mug is light weight and beautifully potted. It is transfer printed in rich black with a pearlware glaze. 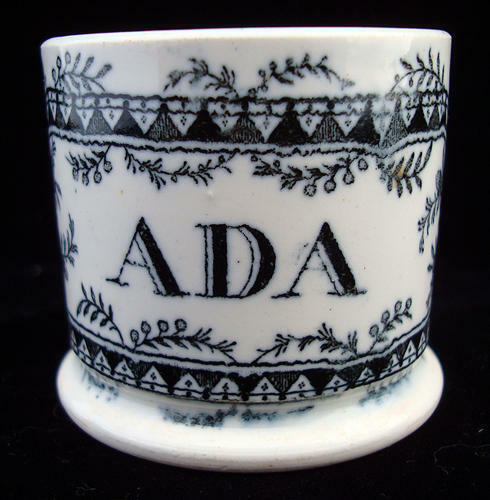 The named mug " ADA " is wrapped in an oval wreath cartouche of flowers and vines.